More time for you By letting us collect your debts you have more time to spend running your business. Kosmidis & Partners Law Firm approaches each case carefully and chooses the fastest and most cost effective way to secure debt recovery. Sometimes a phone call or a written demand of payment addressed to the debtor by First Class recorded delivery post will suffice. In other cases, the demand of payment must be served by a clerk, so that the debtor takes the letter more seriously. Prior to preparing the letter, we usually obtain business information and profile report on the debtor, in order to have a better image of the debtor’s financial situation which enables us to select the most suitable method to handle the delinquent account and inform our client accordingly. 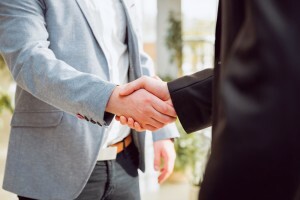 If the debtor cooperates, we consider possible solutions, which include the installment of plans and negotiations about any disputed matter. If such extrajudicial actions fail, only then do we instigate legal actions, choosing the appropriate remedy. The client can rely on our smart and organized reporting system, which is ISO 9001 compliant. Every partner, associate and employee in our firm must respond to any client inquiry and notify the client in writing about any developments in the case within 24 hours. The client is therefore always kept up to date on his case. Kosmidis & Partners Law Firm works extensively in the field of collection of debt and its execution in Greece and abroad. The firm regularly provides its services to American, English, Canadian and Australian clients in Greece and vice versa and is able to ensure the most effective result for each individual case. Whether the chosen action is that of an action for recovery of money abroad or a cross-border dunning procedure, in each case, a decision is made on the basis of a feasibility study, which weighs up factors such as the length and cost of proceedings, national peculiarities, procedural and substantive law criteria, etc. Pursuant to Regulation (EC) no. 44/2001, decisions issued and enforceable in another European Member State are enforceable in Greece provided a Greek regional court has furnished them with an enforcement order (c.f. Art. 38 of the Regulation). The same process and criteria also apply to public deeds admitted and enforceable in other EU Member States and judicially effected compositions. Regulation (EC) no. 44/2001 does not apply to the preceding areas mentioned in connection with the Convention: social security, insolvency, composition arrangements and similar procedures, and to decisions by arbitration tribunals (c.f. Art. 1 of the Regulation). The application for an enforcement order must comply with the pertinent Greek provisions and must be directed by a solicitor in Greece (mandatory representation by a lawyer) to the regional court which has jurisdiction over the defendant’s domicile. As the Greek court generally requires translations, it is advisable to submit these at the same time in order to save time. Decisions from American, Canadian or Australian courts can also be enforced in Greece, but since the EU directives and regulations do not apply in these cases, a different procedure must be followed. the German court has infringed the rules on jurisdiction pursuant to Section II of the Regulation. According to the Regulation, the Greek court must issue the decision regarding the grant of the enforcement order immediately and without hearing the debtor; the debtor residing in Greece can, however, lodge an appeal against the enforcement order within one month of service of the decision. As long as the decision on remedy (including appeal lodged or possible in Germany) is outstanding, enforcement remains limited to consolidation. For his part, the claimant can lodge an appeal with the competent court of appeal (Article 43 Regulation) against dismissal of the application for admission of the enforcement order in Greece. Experience has shown that debtors in Greece frequently object to due and proper service according to German law, or other irregularities and it is not uncommon for them to undergo considerable delays in enforcement by exhausting all the legal remedies. Nonetheless, the hurdles are far from overcome with the grant of a legal declaration of enforceability. In Greece, for example, basically only half of the salary can be attached (with the exception of maintenance debts), whilst the emoluments of self-employed individuals are barely ascertainable. Valuables and assets are also often transferred to third parties in view of an impending risk of enforcement, whereas the enforcement claimant can only proceed within the scope of due and proper process. The laborious procedure and country-specific peculiarities with regard to the (non-existent) reporting register, Land Registry, banking secrecy, etc. all give rise to certain obstacles. It is therefore, essential before the recognition procedure commences, that a lawyer in Greece, experienced in debt collection, is instructed to check the debtor’s assets so as to ensure that the debtor does indeed have assets that can be enforced on realistic terms.